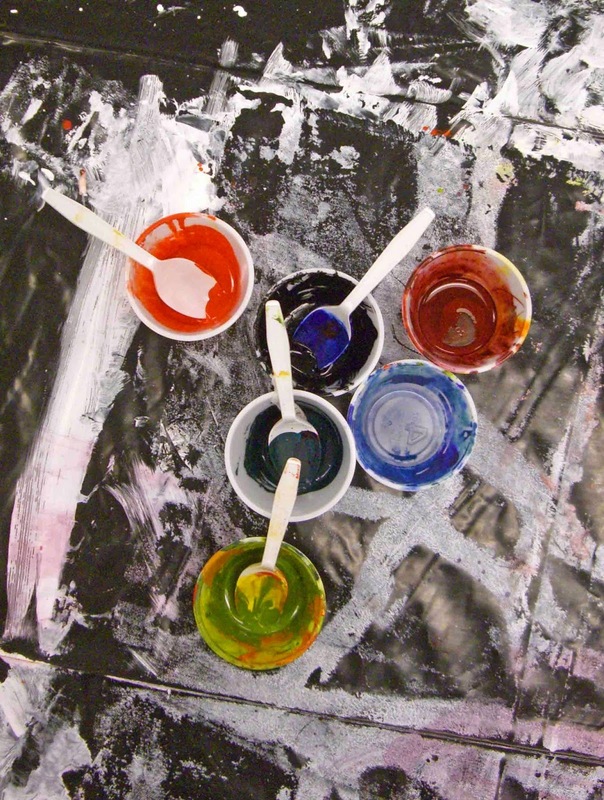 Walking through an empty classroom, the cups of paint sat, spoons akimbo, temporarily abandoned during the lunchtime break. I leaned over and looked down at the unintentional composition, given complexity by the marks of gesso on the plastic covering the table. 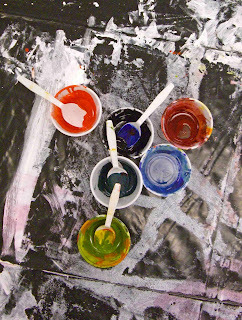 Then, in the midst of my looking, the cups of paint morphed into fat bright birds with spoon tails. Like clouds in the sky or veins in a rock, we humans tend to organize lines and shapes in our minds, relating them to something recognizable. We just can't help ourselves.